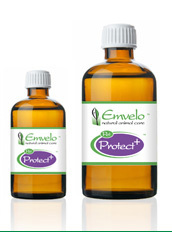 Pet Protect+ is a soluble formula which can be applied directly to the skin. Pet Protect+ is a topical application which is sprayed to affected parts of your animal. The aromatherapy oils work in two ways; provide natural healing properties complemented by their associated odours which create an environment that does not appeal to flies, fleas, tics, midges. Pet Protect+ is a natural probiotic culture of beneficial micro organisms including lactic acid and phototropic bacteria and yeasts, grown in energised molasses water with bio-dynamically mixed with selected aromatherapy oils, including neem, aloe vera, and lemongrass. No genetically modified micro organisms included. The beneficial micro-organisms, natural cultures, the selected pure aromatherapy oils in Pet Protect+ help to deter annoying insects without the use of chemicals and pesticides and use of aloe vera to help soothe any bites. The beneficial micro-organisms help balance the microbial balance on the surface. We recommend re-application after animal is washed or shampooed. Pet Protect+ is a topical spray which is applied to affected parts taking care to avoid spraying directly into or near the eyes. The product can be applied directly to halters, leads or dabbed directly to the head area using cotton swab or sponge. For those animals that wear protective outer coats we recommend applying using a very fine mist.